To help her cope with the aches and anxiety, Tabet’s physician prescribed Vicodin, which she took for three months. “After a while, I decided to stop taking it on my own. I told the doctor I did not want to take any more because I was concerned about becoming addicted,” says Tabet, who wanted to return safely to a job she loves: teaching French and Arabic. Amid so much recent publicity about the risks of addiction to opioid painkillers, many cancer patients share Tabet’s fear of getting hooked. A 2006 study found that as many as eight percent of cancer patients develop an addiction to opioids during treatment. But experts say the greater potential harm is to leave pain untreated. A literature review published in 2008, for example, suggested that 40 percent of cancer patients have pain that is undertreated. Much more common than actual addiction among cancer patients is physical dependence. 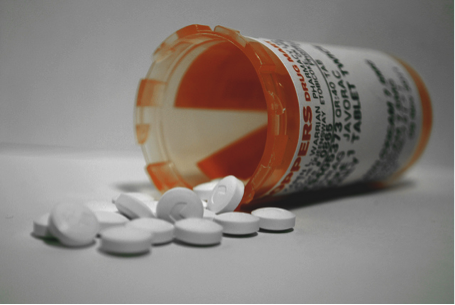 Unlike addicts, patients who are physically but not psychologically-dependent on their pain medications don’t experience a “high” feeling — they’re in far too much pain for that. Also unlike addiction, physical dependence is usually temporary and fades as the medications are gradually withdrawn. The concern with cancer patients is not really addiction but prescription misuse, suggests Yury Khelemsky, an anesthesiologist and pain management specialist at The Mount Sinai Hospital in New York City. A recent study shows that 10 percent of chronic pain patients do not follow their medication guidelines. “The reason we don’t really see the addiction in this population as much is because we aren’t really studying it. Because then what will we do if we find out that they are addicted? Are we going to cut them off now because they are at the end of life?” asks Khelemsky. Cancer patients are a challenge for pain management because both the disease and its treatments — including radiation, chemotherapy and surgery — are usually very painful. Eighty percent of patients with advanced-stage cancer experience pain. For those patients, taking opioids like Vicodin is virtually a necessity, and doctors need to listen carefully when patients ask for more. Regular urine drug testing is an important step in making sure the patients are taking the medicines themselves and not passing them on to others. “It happens, but if you are vigilant about screening patients, you can definitely pick it up through urine drug testing,” says Khelemsky. Nuha Tabet doesn’t fall into any high-risk groups for addiction but she was worried enough to stop taking her prescription. “I no longer take the pain medicine, but I still have pain in my breast area,” says Tabet. When coming off a prescription, patients often confuse the symptoms of withdrawal — sweating and muscle twitching — as indicators of addiction. “Just because someone has a withdrawal side effect does not mean that they are addicted, it is just their body’s response to being taken off medicine. Anyone who has been on opioids for any amount of time would experience withdrawal when taken off the medicine,” says Khelmesky. Withdrawal is merely a sign that the patient’s body became used to the opioid and has developed a physical dependence. But this temporary dependence is a normal side effect for patients who take pain medicines, and is usually easily managed by slowly decreasing the dosage. “You have to wean a patient off their medicine. Reduce the medication over time if there is a need to take them off. Take them off the medicine in 5 to 10 percent reductions over days, weeks and months and eventually get them off completely,” says Louisiana State’s Gould. Some physicians prefer a lower-risk approach to cancer pain management centered on less-addictive painkillers like Tramadol. “Doctors have got to monitor those medications, put patients on them right after surgery. And then, as soon as the pain has diminished, they need to use other medications that are not as addictive, such as Tramadol,” says Don Colbert, a board-certified family physician who has written several books on alternative treatments for cancer. Colbert even suggests boswelia, or frankincense, as a natural remedy for cancer pain.